Lake Erie region state parks are nice to add to your list of things to do on your visit to Northwestern PA. Beaches are open daily from Memorial Day weekend to Labor Day. Couples, kids and the entire family will enjoy being outdoors and by the water. Each park has different activities available, so each family member can find something they like to do. You can swim, cook hot dogs and hamburgers for a family picnic, go hiking, play frisbee golf or go biking. Don't forget to stay and watch a Lake Erie region sunset one evening as it catches the sky on fire with lovely orange colors. Located in western Erie County PA, 12 miles west of Erie. 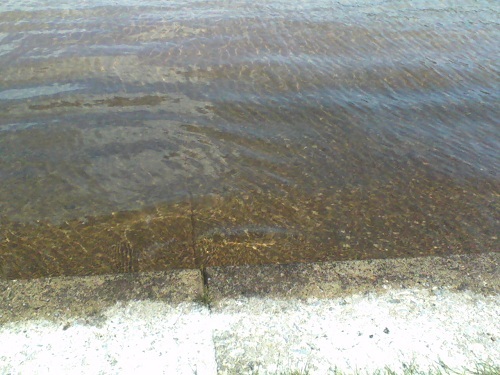 Currently underdeveloped shoreline with no park facilities. 5 minutes off I-79. Exit 130 (Sandy Lake-Greenville) go W on PA 358 towards Greenville .1 mile, right onto Sheakleyville Road. At first stop sign, right onto Lake Wilhelm Road. North - between Drake Well Museum and Titusville PA. 4 miles south of Oil City. Main entrance off PA 8, 1 mile N of Rouseville PA.
PA 832 N. This is a National Natural Landmark with migratory birds including rare breeds. Visit Tom Ridge Environmental Center for interactive exhibits and an observation tower. Free admission. 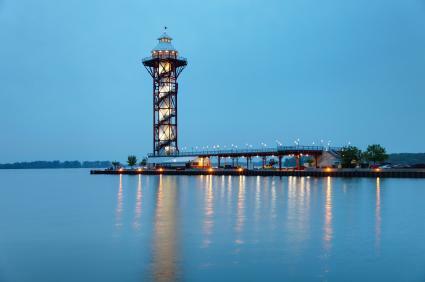 Various events held here throughout the year in this Lake Erie region park. Park's south shore reached from US 322. North shore reached from US 6. East shore reached from PA 285. This is PA's largest state park which has the largest lake in PA, Pymatuning Reservoir. Have fun exploring the state parks in Pennsylvania!